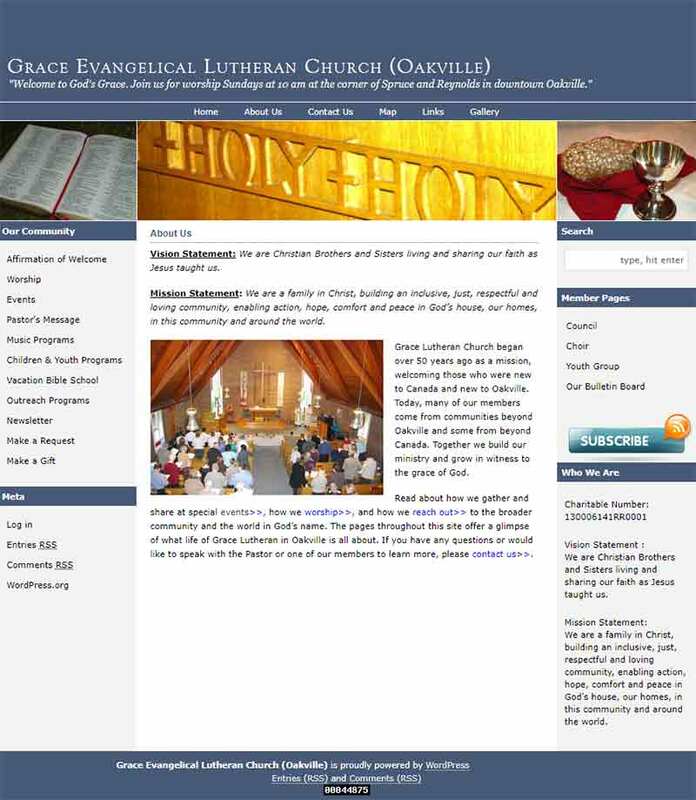 The Grace Lutheran Church of Oakville has fully redesigned its website with COMMbits. It’s always fun to work on something new. 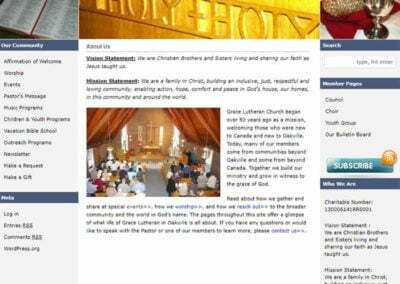 This time around it was re-establishing the web presence of Grace Lutheran Church in Oakville. Of course, at the end of the day in our industry experience is what matters and drives a project to success: How to find the unique characteristics that make every project special, and portray those traits through a special blend of modern web design elements, while synchronizing with a company’s unique culture, character and processes. 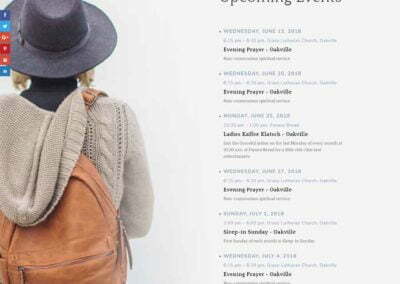 The Lutheran Church of Oakville was no different: The Church positions itself as a modern, welcoming church, widely open to all people, irrespective of color, ethnic background or sexual orientation. Grace Church “welcomes those seeking spiritual renewal and rejuvenation, or spiritual awakening”. Our job was to fully restructure the site into a new functional component, while adhering to these characteristics. 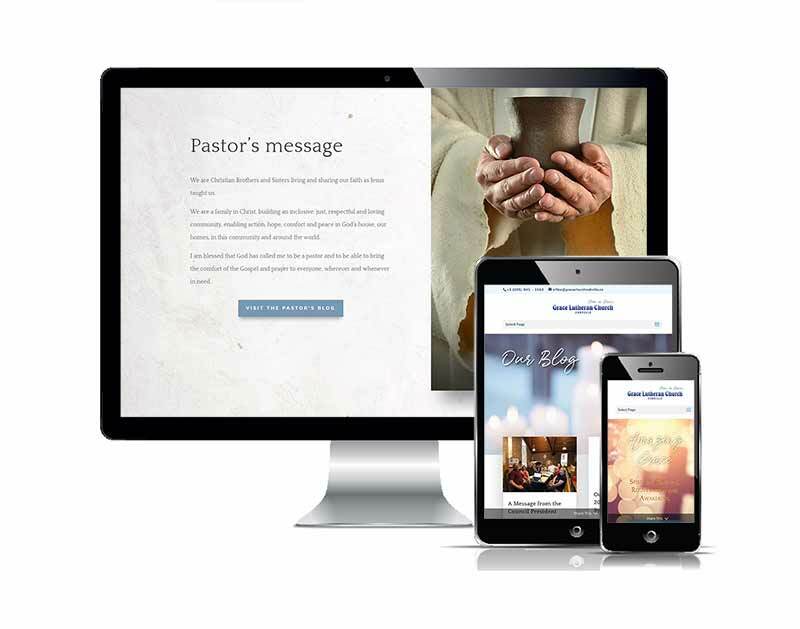 The end result is a blend of slightly-animated images, shadow placeholders, hero images, and tag lines along with a seamless integration into the Church’s processes and procedures. 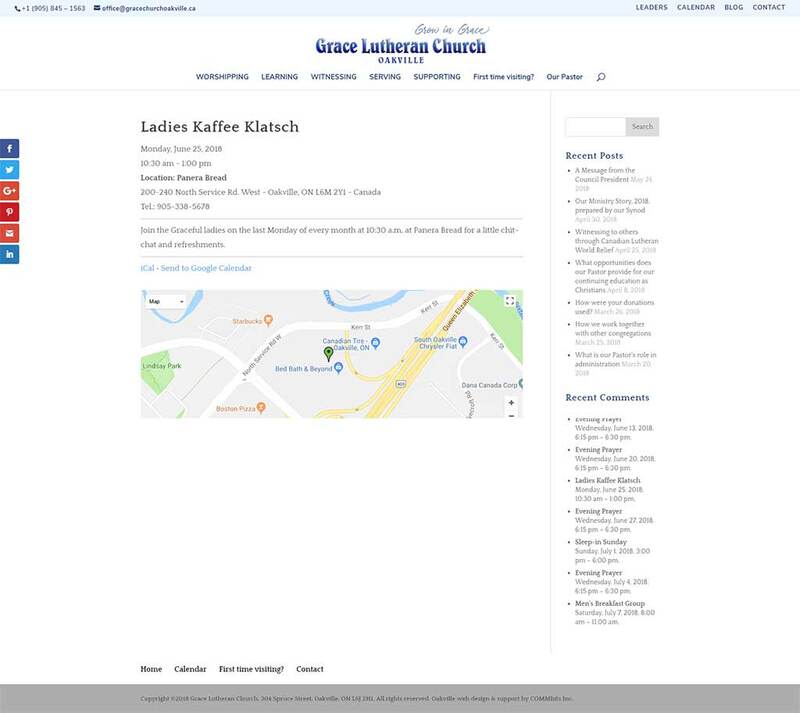 The website has now become an extension of the Church inviting new members, and working as a communication platform with its congregation. 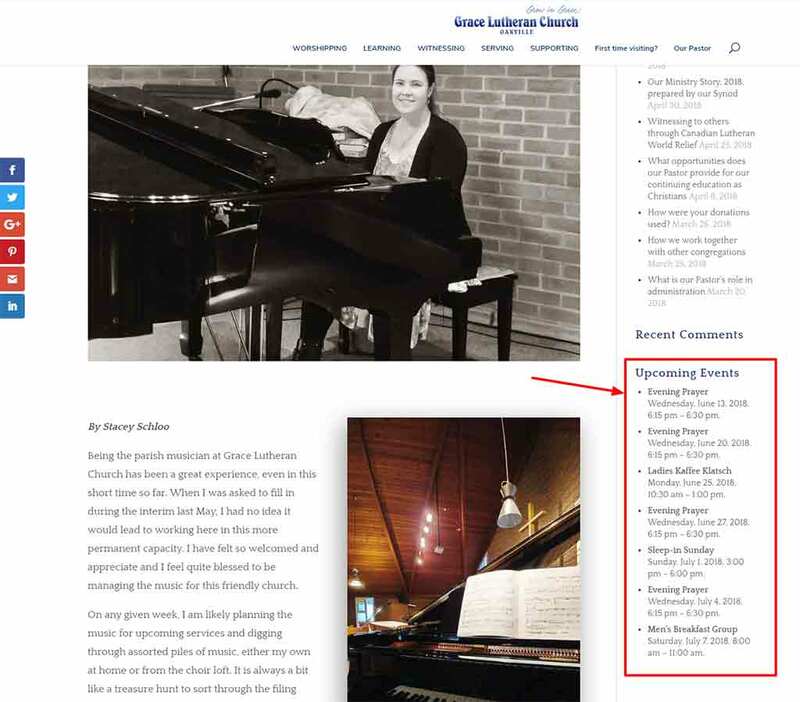 THE BLOG allows multiple authors from the Church to post articles in a variety of categories, which then automatically appear in relevant pages throughout the site. THE CALENDAR displays events in a variety of formats on different pages. 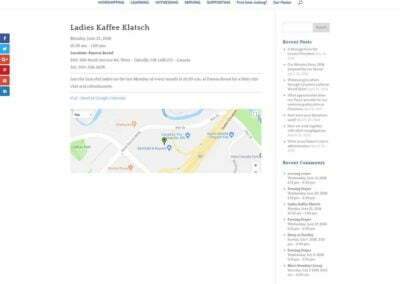 For example, the same event appears on content pages, blog posts, and an actual Calendar page, in addition to having its own Event page, complete with a dynamic map. 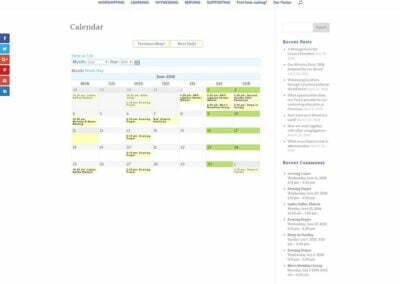 All staff needs to do is simply enter an event in a single place in the back-end. 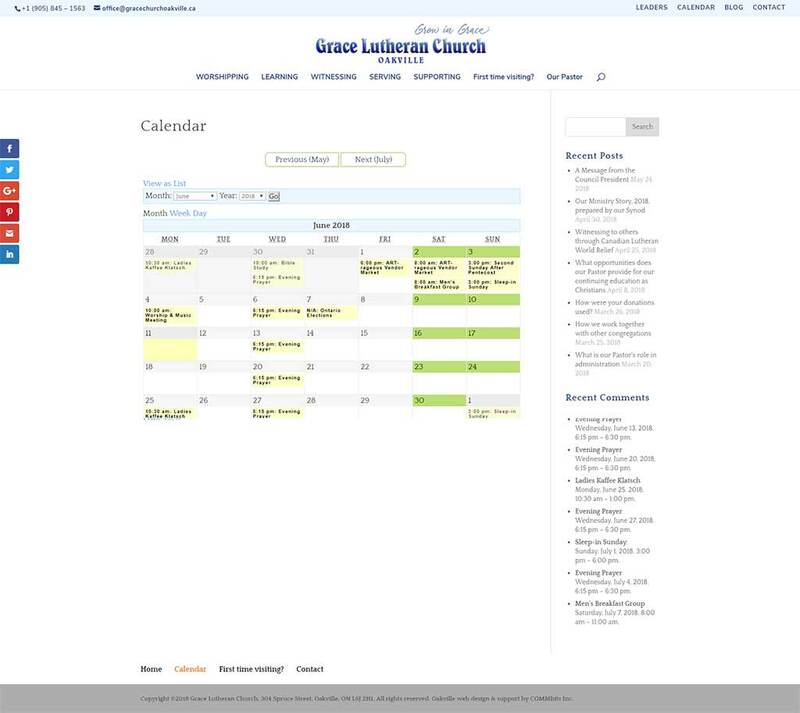 See below the new Calendar in action, as well as a screenshot of the previous, outdated website. 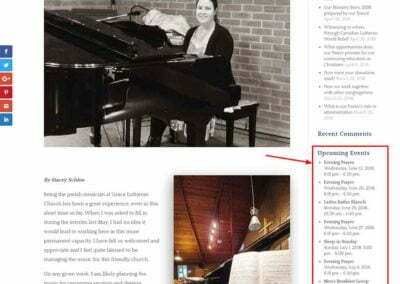 COMMbits took the time to understand the culture of our church and our goals for a redeveloped website. The website captures this feeling in a beautiful and modern way. 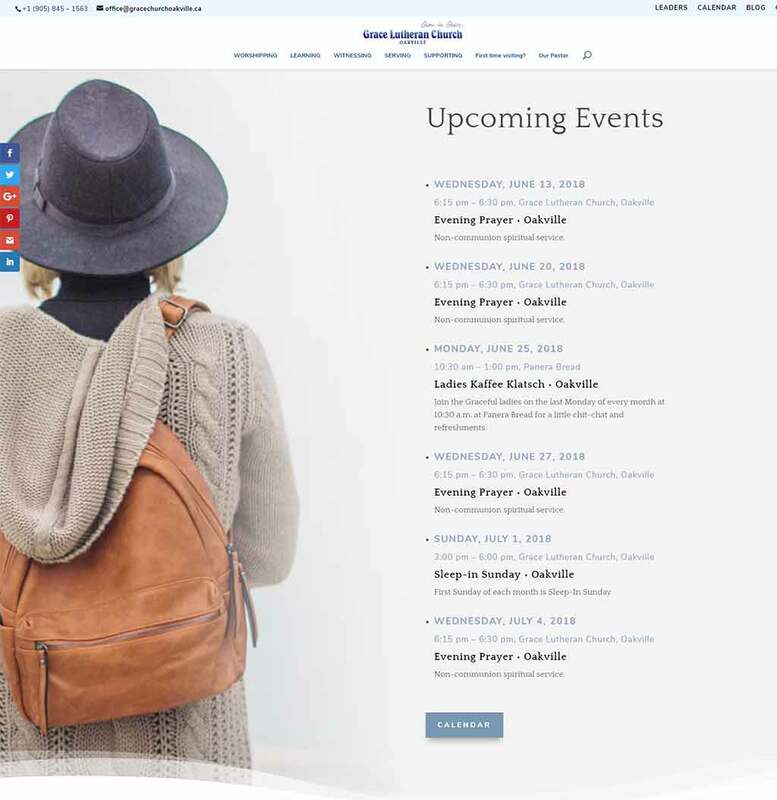 Al Poullis guided us through the website development process so that it was not intimidating. He was always available for us and was very responsive in replying to our questions. The entire project, including all content, was completed in two months at the price we were quoted. We are very pleased.